Back in October, I first posted about my Inverted Color Cube. 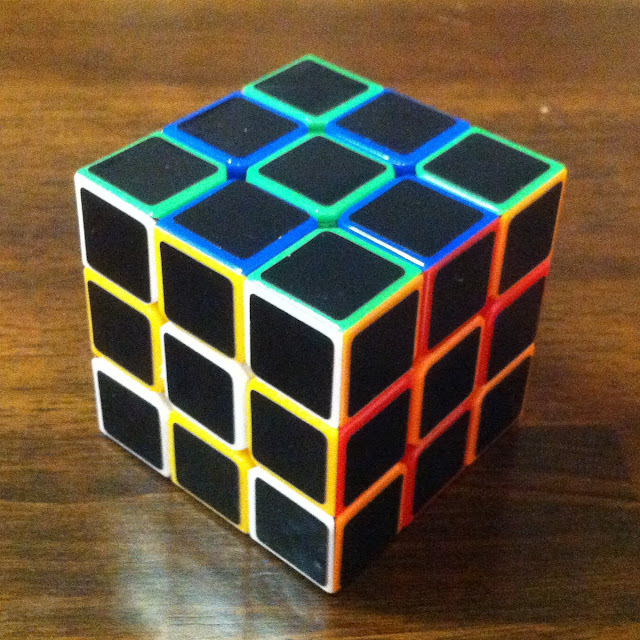 It's basically a stickerless DaYan Guhong, which has colored plastic instead of black with colored vinyl stickers on it. In this case, I put black stickers on it. So rather than getting squares of color, each framed in black, you end up with squares of black, framed in a color. I had run out of black stickers when I originally made it, and only recently placed an order with Cubesmith, including a bunch of black stickers. 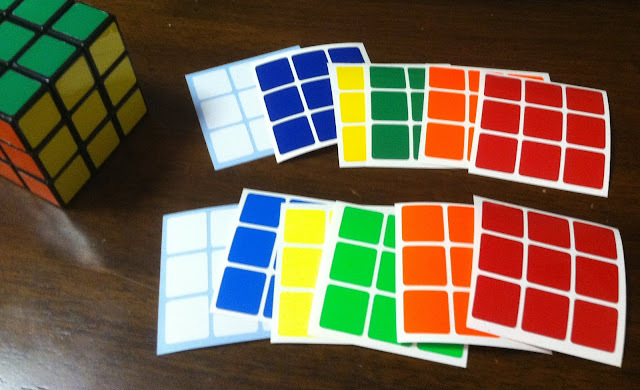 I was finally able to finish this sticker-mod! I think it looks awesome, and it's a lot of fun to play! It's not too much of a challenge, but it's certainly a nice change! 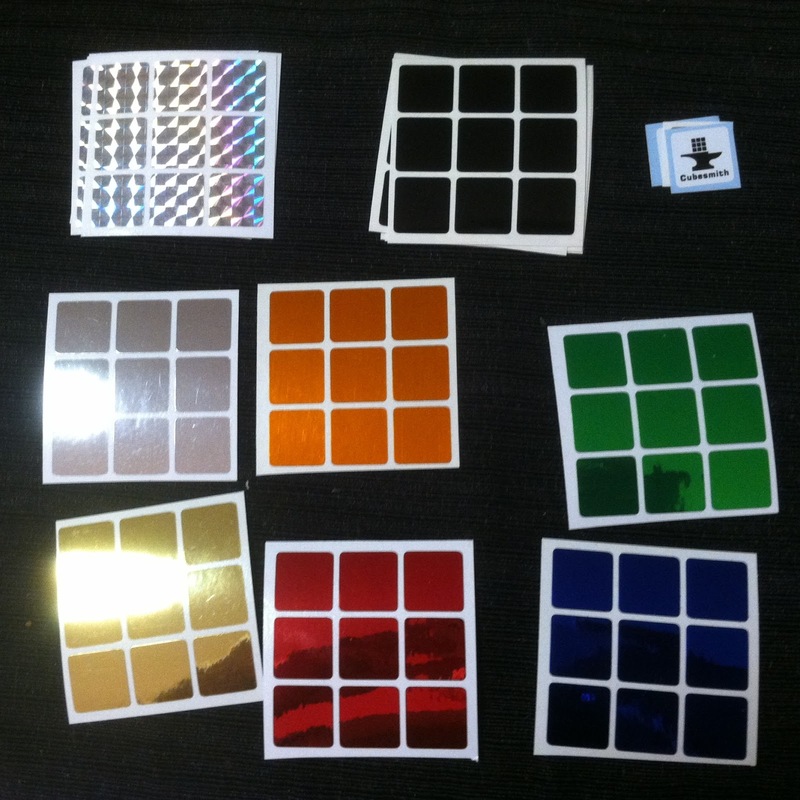 Here are some of the sticker sets I just got from Cubesmith. Each of the sets was only $2.50, and arrived in about two weeks. 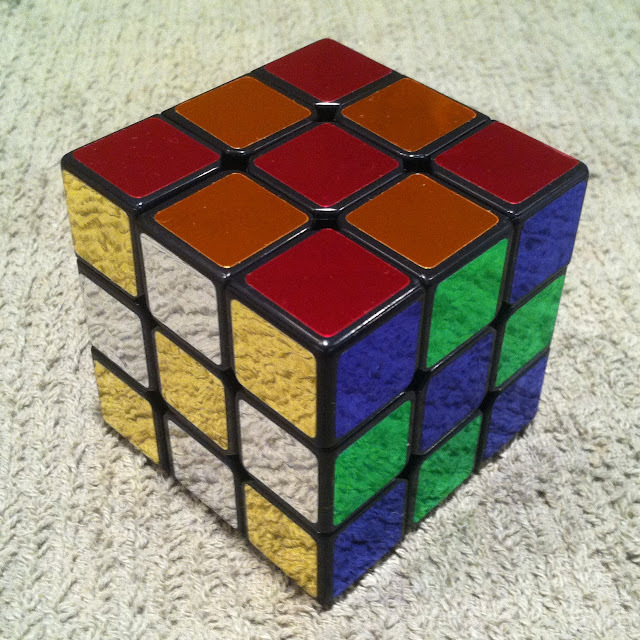 If you plan on doing this with your cube, be sure to get the plastic scraper tool thing. It's essentially a plastic razor blade, perfect for removing stickers. Also in the order were a few sets of other stickers. The top set is the vinyl "Studio" color set. The colors don't really translate well here, but the blue is a dark blue, the green is a regular green. Also, in person, the difference between the red and orange is a lot more obvious. The bottom row is the vinyl "Half-Bright plus Bright Blue". The green is more fluorescent, and the blue is noticeably brighter than the above. Here's the vinyl mosaic set. There's no green, but there's a pink set instead. The red and orange are about as similar as they appear here. Also the white/silver is prismatic, while the gold is just circular-brushed. I'm not sure I like this set all that much. I also got some extra white/silver prismatic vinyl stickers, the stack of black stickers, one set of which I used on the cube at the top of this post. Then the bottom six are the vinyl "Chrome" set. 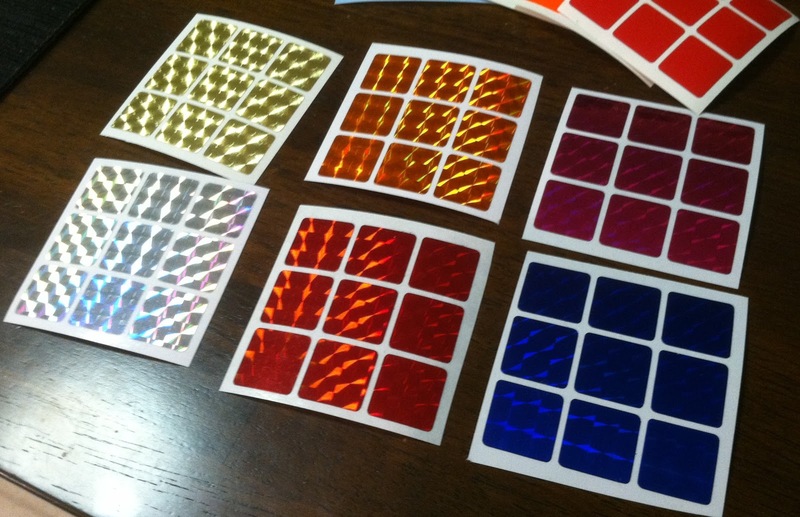 Silver, Orange, Green, Gold, Red, Blue. They look really pretty in person, nice and metallic shiny looking. And here is my Zhanchi restickered with those chrome stickers. The thing is brilliant. The funny thing is that in person the red and orange are very distinct, and the silver/gold are difficult to see... the opposite of this image. But man...SHINY! I'll have to be sure to always put it in a carry bag so that it doesn't get scratched to hell. hehe.